Thank you to Brio for the product. All thoughts and opinions are my own. Trains, trains, and trains and more trains. Hendrix still is very much train obsessed. I was beyond thrilled to get the Brio Smart Engine. It is an awesome addition to Hendrix's train collection because he can set it up with the action tunnels for an even more diverse course. Any train lover in your life will love them, too. Operating since 1884 in a small town in Sweden, Brio knows a thing or two about toys and how to engage children. With a clean and simple design, Brio's toys allow children to play only to the limits of their imaginations. Toy designer for Brio, Daniel Mauritzson, believes toys should adhere to four standards. 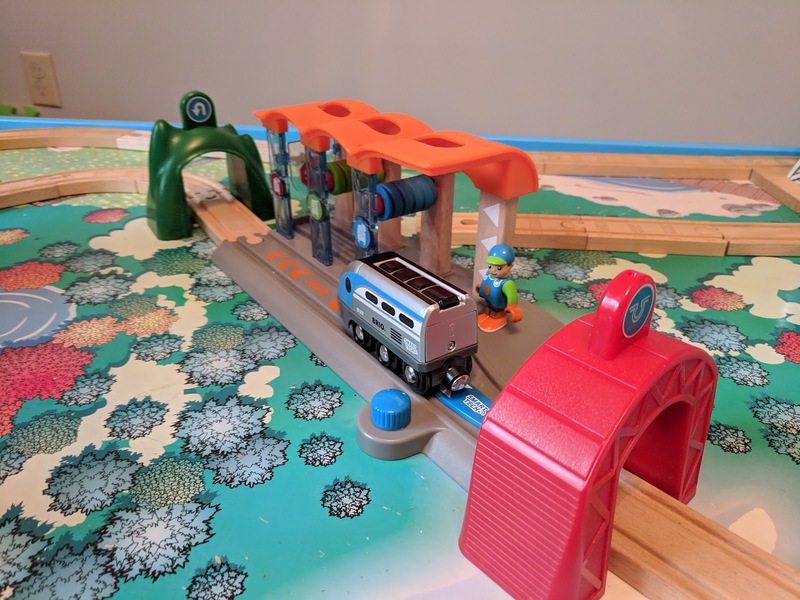 Brio's Smart Engines and Action Tunnels encourage a new and different way to play. Hendrix loves that the Smart Engine moves on its own and will go through the Smart Washing Station and pull back out onto the tracks. I can't tell you how many different ways and places he has put the action tunnels as he loves to watch the train stop and turn around. I love that the Smart Tech Engine and Action Tunnels encourage him to think even more about his track configurations. This had led to even more time playing trains, which I didn't think was possible. The Smart Engine with Action Tunnels is available for $39.99 and the Smart Tech Washing Station is $34.99. If you aren't quite into the Smart Tech products, Brio definitely has something else for you. 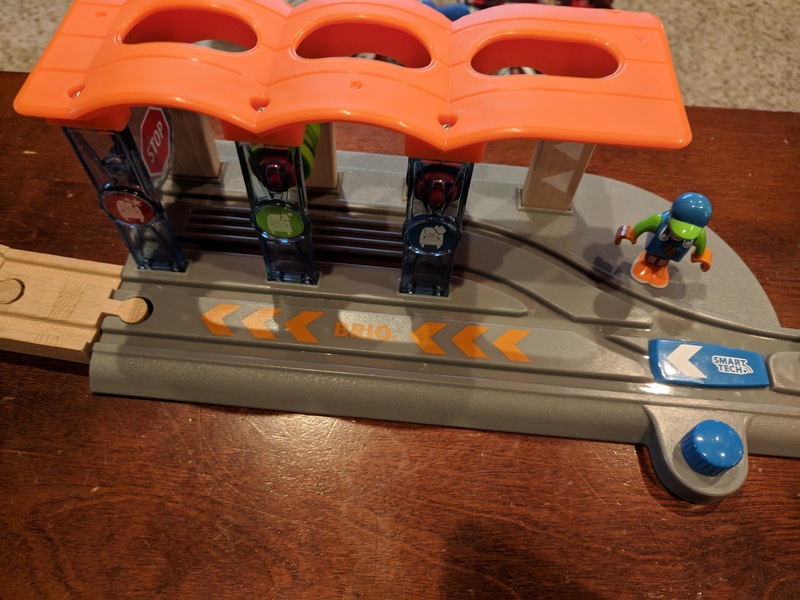 From signs to travel trains to airplanes, Brio has a variety of awesome toys for any kids you know. Any train lover will absolutely enjoy the new Smart Tech products from Brio. They are user friendly and add another level of play, creating even more possibilities and paths for Hendrix's imagination to follow.